On New Girl Season 5 Episode 2, Jess is ready to jump back into the dating world, but is disappointed by her date. Nick and Schmidt become managers of the bar. When you watch New Girl Season 5 Episode 2 online you'll realize how important it is to be exciting when going on dates with people. Jess is ready to jump back into the dating world after seeing how happy Cece and Schmidt are and decides to go on a date with a man named Fred. Jess is instantly turned off with Fred's personality because he's extremely dull, but when she meets the parents, she falls in love with them. Jess is determined to stay in the relationship because she wants to continue her friendship with Fred's parents. Thankfully she soon realizes this is a terrible idea and decides to break things off with Fred and his parents. 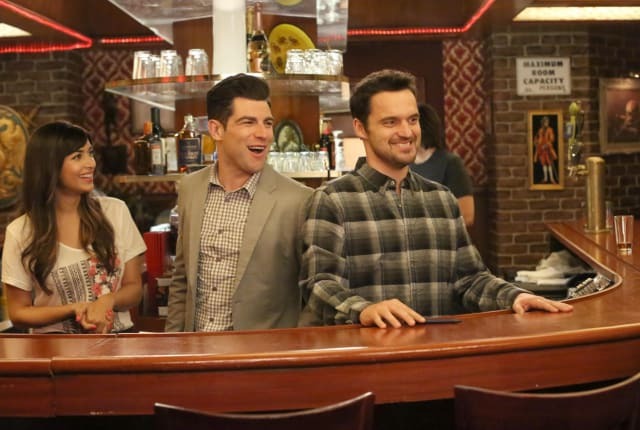 Meanwhile, Schmidt and Nick finally become managers of the bar, but Schmidt wants Nick to be a stronger manager. Unfortunately, things take a turn for the worse when Nick decides to be tougher by firing a bartender and the entire staff ends up quiting. Cece convinces the guys if they re-hire the bartender, the staff will come back. Nick and Schmidt are able to convince the bartender to come back which also brings back the entire staff. Schmidt realizes Nick shouldn't change and will be a great manger despite him not being tough. Don't feel bad if you missed out! You can watch New Girl online now via TV Fanatic anytime. On New Girl Season 5 Episode 2, Jess tries to get back onto the dating scene by going out with a man named Fred. Nick and Schmidt become managers of the bar.